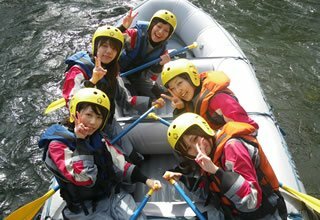 Rafting in Niseko is GOOD SPORTS Let's go rafting in Hokkaido this summer vacation! 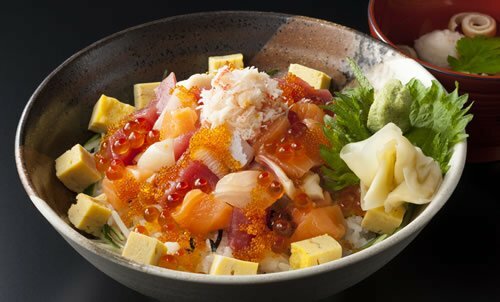 Feel the heartbeat of Hokkaido’s nature this summer! Our 2018 summer season has ended. Next season's homepage will be up at the end of March. Niseko's Shiribetsu River Rated #1 in Japan! Climb into a big rubber boat and feel the crystal, clear water surrounded by stunning nature. All with GOOD SPORTS RAFTING! Control the boat in rapid streams. Feel the river mist as you paddle downstream. Jump off the boat and into the river. Swim! Splash! All under the watchful eye of beautful Mt. Yotei. No car? No problem! 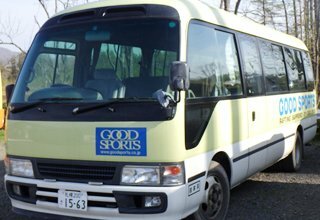 Take our free shuttle bus to and from Sapporo. Niseko rafting with GOOD SPORTS this summer! See you there! *Actual tour time is about 1.5 hours. ※ Time is determined the day before. Staff will call you at your contact number to inform you of time. ※ Reservations required. Reserve your seat on booking form. Reservation not accepted if bus is full. ※ Company reserves the right to change time of departure or suspend operations. 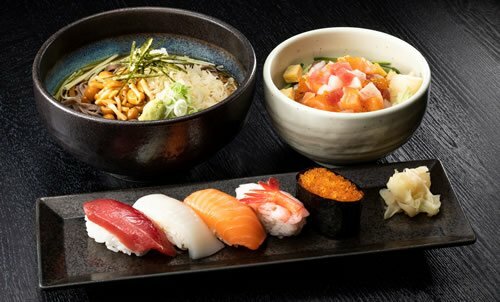 ※ Be in the Sapporo Grand Hotel lobby 10 minutes before departure time. 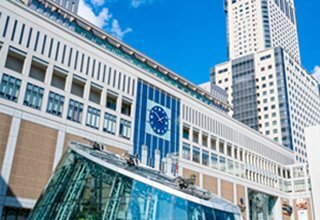 ※ Arrival time may vary depending upon traffic conditions and tour finish time. 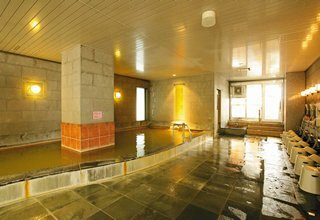 Add a Hot Springs Spa and Lunch Package at Niseko Alpen! ※ Reservations accepted at time of Tour check-in. Payment cash only. 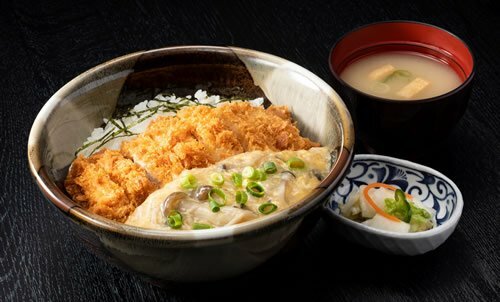 ※ Hotel・Lunch menu may change without prior notice. Photos taken of you to take home on CD. ※ Pictures are taken by tour guides, not professional photographers. ※ Pictures include all boats on the tour. ※ There may be times when pictures are not available. ※ Data purchased are for private use only. Good Sports retains the rights to the pictures. ※ Pictures taken may be used for Good Sports advertisement. Please settle your payment within 2 days of date of booking. Your booking will be canceled if payment is not completed by the due date. Price of booking includes equipment rental (See EQUIPMENT RENTAL Section), insurance and consumption tax. Minimum number of participants required are 2 people. If the minimum is not met, tour may be cancelled. A tour may be cancelled due to weather・water conditions. Due to the nature of outdoor river activities, there is a risk of danger when participating. Although our guides and staff take every safety precaution, please be aware of the inherit risks involved when joining our tour. Mobile・smart phones, filming equipment, valuables and jewelry are strictly prohibited. We provide lockers free of charge. Alcohol consumption is prohibited. If suspected of alcoholic intake, participation will be prohibited and cancellation fees will apply. A completed and signed consent form is required for each participant. This information is used only in case of accidents to assist with emergency needs. At the end of the tour, this form is deleted. Please wear an easy to dry shirt and shorts over a swimsuit to board the boat. You will get wet! River shoes will be provided free of charge to wear on your feet. You may be asked to wear a dry suit depending upon weather conditions. In case of cold weather, please wear warm sportswear under the dry suit. To prevent catching colds, always bring extra clothes to change after the tour. Even though you wear a dry suit, you may get wet from water and perspiration. All equipment necessary for your tour will be provided and included in the tour price. These include dry suit, life jacket, paddle, helmet, river shoes, and for those wearing glasses, a glasses strap. Clothing: Please refer to CLOTHING Section above for details. Towel: Bring a towel to dry yourself after the tour. Please allow enough time if you are driving. Cancellation fees will apply if you are late. Cancellation fees will not apply if tour is cancelled by company. The tour will be operated in rainy weather; however, when one of the conditions below occurs, the tour will be cancelled. We will inform you of the cancellation at least one day before the tour. Water level: When the water level at the Kutchan Water Level Station exceeds the designated water level of 169.46. Weather warnings: When the Weather Bureau issues a heavy rainfall and flood warning (Final decision will be made based on weather information). When a request for cancellation has been made by an official institution. When a tour leader determines that conditions are not safe for rafting. Please also be aware that on the day of your tour, you may be informed of cancellation due to worsening river conditions such as heavy rain, proximity of a thunderstorm, and risk of fallen trees. Please come 15 minutes prior to your tour start time. For those driving to our shop: Please enter the Map Code below if your GPS has this function.